â€œOmâ€ is a Sanskrit word or rather mantra used in prayers. It is a symbol of peace, harmony and bliss. 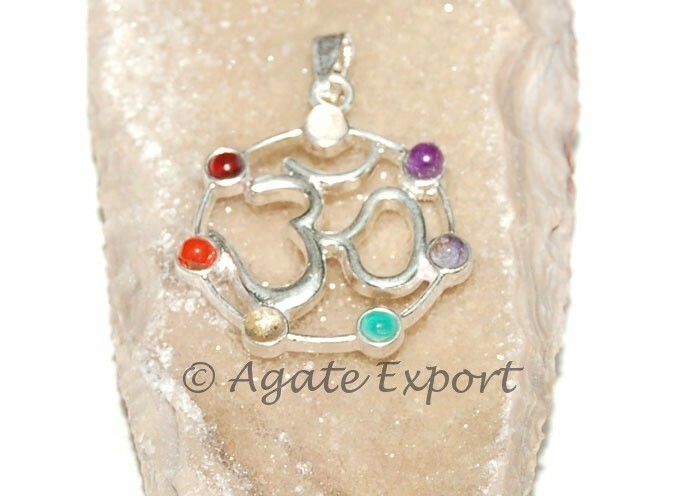 Om chakra metal pendant will remind you the value of life and how beautiful this world is. It brings luck, peace and happiness in the wearerâ€™s life. Gift it to someone who practices yoga. They will thank you forever. 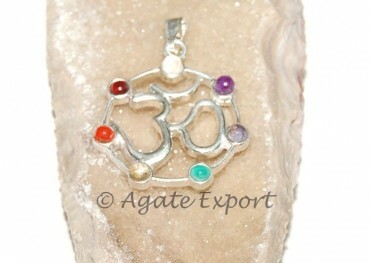 Get this pendant on Agate Export. Crystal Quartz 7 Chakra Faceted Pendant.